Do Your Parents Need Dental Treatment? Now that your kids have moved out on their own, do you find more and more of your time and attention being drawn to your aging parents? It can be difficult navigating the changing roles you’ll lead as the adult child of senior adults. 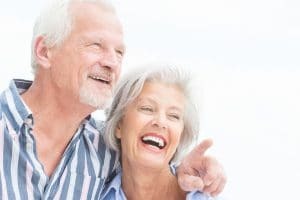 In addition to doctor’s visits and general care, though, it’s important to take your parents for regular dental checkups and cleanings, as well. Dental visits help to protect aging smiles from complicated and painful problems like cavities and infections. Plus, they allow your family dentist to check for any other issues that could be burgeoning, and to address them as needed. Kids and teens aren’t the only ones in need of regular dental care. Senior adults need routine dental visits, as well. In fact, some seniors may require even more frequent dental cleanings. That is because patients already diagnosed with complicated dental problems, such as gum disease, will likely need ongoing restorative treatment to help restore their oral health. For parents who have lost a tooth or several, prosthetic dentistry becomes incredibly important. That is because prostheses help to make chewing more effective and more comfortable, but they can also help to prevent misalignment or remaining teeth. Without a prostheses, teeth tend to shift when a gap is created by tooth loss. This can make chewing less comfortable, or even lead to jaw pain. A prostheses helps to prevent this, while also helping to improve a person’s confidence. Need to Address a Problem or Tooth Loss? If your parent could be in need of preventive care, or a restorative consultation, call today to schedule their next dental treatment. You can reach Gateway Dental Group in Des Moines, IA, today at (515) 244-9565.